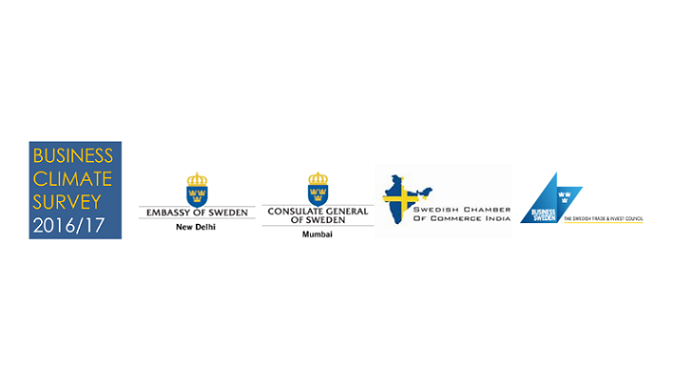 Over the years the Business Climate Survey conducted annually by the Chamber in collaboration with the Embassy, Consulate General in Mumbai and Business Sweden has become an important input to bi-lateral discussions, stakeholder meetings on state and central level and to promote what the Swedish business community does in India. This year, we are turning the result from the survey into a concept paper listing concrete and pressing challenges, and our suggested solutions for “ease of doing business”. The aim is to present the business community as a partner for long-term and integrated growth of India. In mid-May (preliminary planned), the Joint Commission Meeting between the Ministers of Trade of Sweden and India will take place. Our concept paper is an important input to this meeting. Included are strategic suggestions for our focus states; Maharashtra, Karnataka and Telangana and meetings with state governments will be scheduled accordingly. Your further input to this paper is crucial. We, therefore, invite you to join us for a presentation of the Business Climate Survey 2016-17 result along with participating in an in-depth and strategic discussion on key issues to be addressed in Maharashtra. This is an important meeting to attend and we look forward to discuss perception, challenges and thoughts on “making business in India”.We are also taking this opportunity to welcome our new Consul General in Mumbai, Ms. Ulrika Sundberg.